The rapid technological development changes our perception practically on daily basis. The constant use of the screens affects our imagination so we become saturated with the images and deployed of meanings. But what happens with our bodies? They change as well and exactly that subject is present in the works of the German artist Malte Bruns. For some time, he has been exploring the separate existence of the human limbs. With the upcoming exhibition Autobody, he goes one step further in the deliberation of the relation between the human body and technology. Malte Bruns studied at the State Academy of Fine Arts Karlsruhe and at the Academy of Fine Arts in Munich. In the past years, he participated in several collective exhibitions and was even shortlisted for the Nam June Paik Award in 2016. 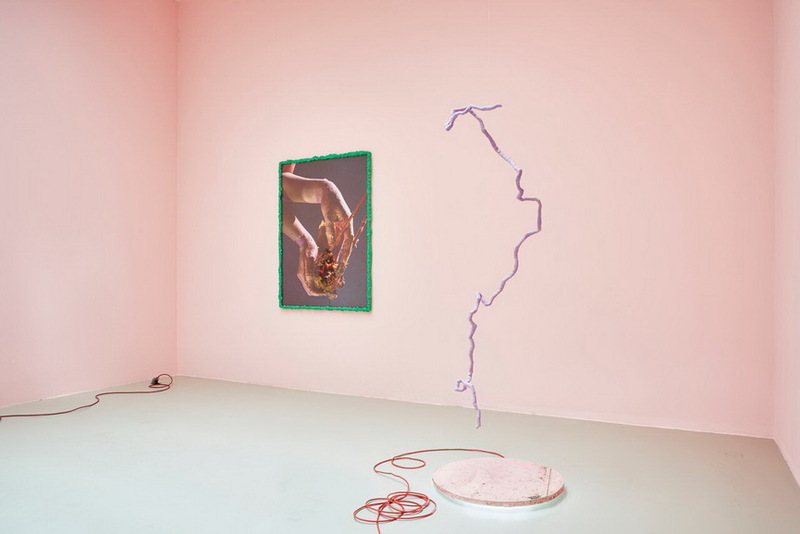 Bruns came to prominence with his anthropocentric sculptural interventions. 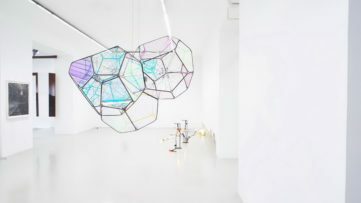 Namely, the artist combines photography, sculpture and cinematic elements in order to produce outlandish ambient reminiscent of vintage sci-fi movies and laboratories. The figures of more precisely limbs have lives of their own, aside from the body as a whole, so their state reflects self – sufficiency. 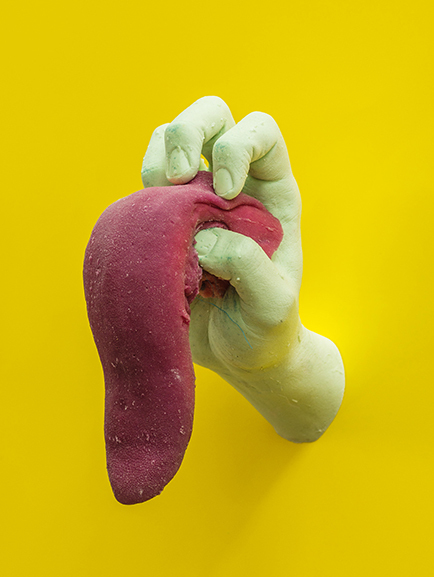 With the new work, Bruns is focusing on the autonomous existence of human organs and limbs, which at first glance is reviled by the suggestive title. An interesting detail which additionally flavors this whole agenda is the fact that he casts his own limbs in synthetic materials. This twisted self-portrayal tells much about the artist’s perception of the human body in the technocratic society. It draws a number of references from art history – from the story of Frankenstein, through Surrealism, the ‘80s and ‘90s sci-fi movies, over to Stelarc’s experimentations. 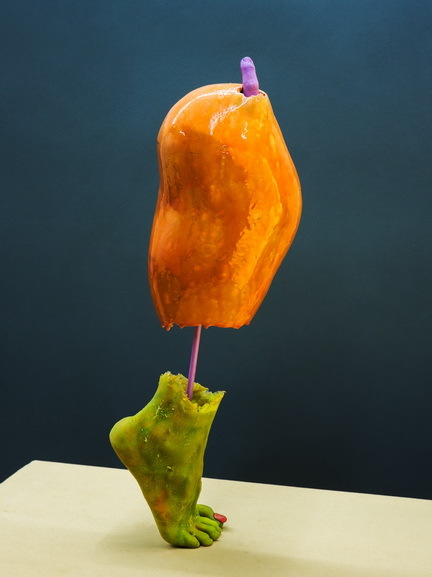 Although the first impression is that these limbs resemble prosthesis or are the achievements of genetic engineering, Bruns is exploring neither the immobility or the effects of scientific innovations, but rather the betterment of the human being and their abilities through technology. 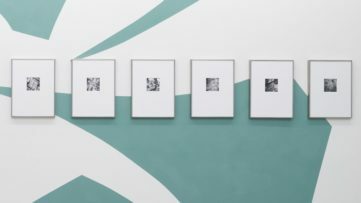 Therefore, the artistic practice of Malte Bruns could be described best with the term posthumanism, the belief that the humans can evolve beyond their present physical and mental limitations mostly by means of science and technology. 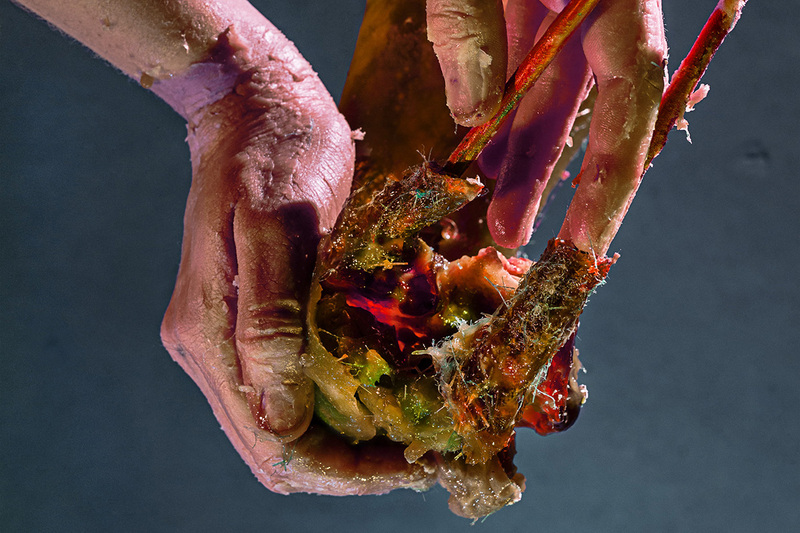 The human body still is frail despite the efforts of becoming untouchable and unbreakable, so these peculiar object Malte Bruns is creating should be perceived as a humorous comment on the continuous and restless advancements of genetics, robotics, and medicine. The opening reception of the exhibition Autobody at Galerie Lisa Kandlhofer in Vienna will happen on 7 June, and the audience will be able to see it from 8 June until 14 July 2018. Featured image: Malte Bruns – Natural Selection, 2018, detail. 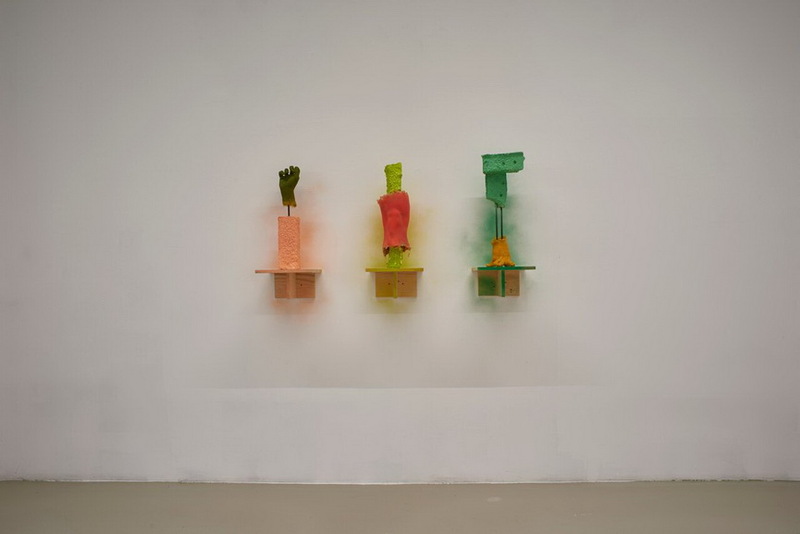 Malte Bruns – Autobody Installation view. 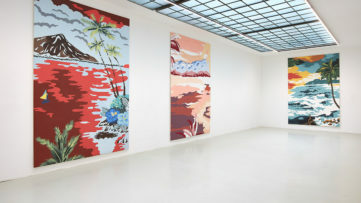 All images courtesy of the artist and Galerie Lisa Kandlhofer.